For the better part of 20 years, Beacon Insurance Agency of Pace, Inc. has been specializing in meeting the insurance needs of area churches, nonprofit organizations, and private Christian schools in Northwest Florida. We take great pride in what we do. Most of all, we feel a great responsibility in guiding our clients through the process of selecting insurance policies. We ensure you will have coverage that will truly suit your needs. For that reason, we partner with GuideOne Insurance to offer nonprofit insurance to organizations throughout the area. We know GuideOne offers excellent policies and services. Through them, we are able to fulfill our desire to serve you as you serve our communities. In the work that we do at Beacon, we are fulfilling a mission. The community around us is a ministry field. And that field needs to be served by those who will be faithful and selfless. However, that service still needs to be run, in some regards, as a business. We know you often offer your service without great acknowledgment or praise. Sometimes, the nonprofit organizations of the community can find yourselves vulnerable to many dangers and legal liabilities. For that reason, we at Beacon have aligned ourselves with leading insurance providers in this sector. We offer policies through GuideOne Insurance, one of the nation’s top names. Further, we meet with our nonprofit clients to design a policy plan perfectly tailored to meet your specific needs. We do this so you are covered in every eventuality that might put you at risk. In doing so, we are helping you go about your work without having to worry. We have you covered. Without a doubt, you can trust us to help you further your mission for good. 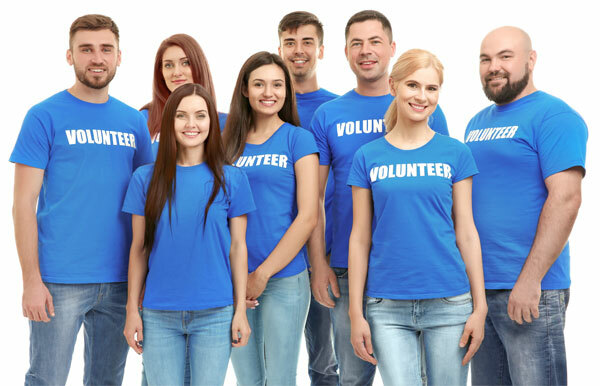 Community service providers offering services and programming to area families, children and youth, senior citizens and special needs individuals. Food and shelter providers such as local food banks, thrift stores and emergency shelters who provide food, clothing and shelter to individuals in need. Hospice care organizations providing palliative care to those who are chronically, terminally or seriously ill or in-home care to patients who are ill, injured or disabled. Maternity and pregnancy counseling programs who provide education, counseling and pregnancy services, including organizations such as maternity shelters for pregnant adolescents and at-risk women without stable home environments. Mental health care providers offering counseling, rehabilitation and support services for families, children, adolescents or adults. Special needs programs offering specialized care and developmental assistance to children and adults who have been diagnosed with medical or behavioral conditions. The reality is that in this day and age, everyone is vulnerable to legal action. By having policies in place that mitigate the dangers and provide protection for those risks, your nonprofit will be able to face the challenges. You will even have allies who will help you navigate the road ahead.